Located on 26 beautifully landscaped acres overlooking Estero Bay and the Gulf of Mexico, Hyatt Regency Coconut Point Resort & Spa is a haven for recreation and relaxation. Our coastal, resort-style hotel near Naples, FL blends state-of-the-art business facilities and a refreshing resort environment. We’re the ideal place to escape with family, get down to business, connect with friends or enjoy a romantic getaway. To reserve your hotel room, please make an online reservations or contact the hotel at 1-239-444-1234. With modern, coastal-inspired ambiance, Hyatt Regency Coconut Point Resort and Spa provides the perfect setting to soak up the spirit of Southwest Florida. Beautifully appointed rooms and suites feature Hyatt Grand Beds®, generous work areas, free Wi-Fi, and iHome® stereos so you can enjoy your favorite music. If you need to cancel your hotel room, please cancel your reservation within 48 hours of arrival or you will forfeit one night's room and tax. Reservations received after April 3, 2018 will be confirmed on a space-available basis only and the hotel expects to be sold out over our dates, so rooms may not be available after 5:00 pm on April 3. Self-parking is complimentary and valet parking is $25.00 per day at the Coconut Point Resort & Spa. The closest international airports to the Coconut Point Resort & Spa is the Southwest Florida International Airport (RSW) – approximately 20 minutes (about 15.5 miles) from resort. The Coconut Point Resort & Spa offers complimentary shuttle to and from the Coconut Point Mall Shuttle Schedule for Monday through Saturday: Shuttle departs hotel at 10:30 AM and 1:30 PM; Shuttle departs Dillards at Coconut Mall at 1:40 PM and at 3:40 PM. Shuttle Schedule for Sunday: Shuttle departs hotel at 11:30 AM; Shuttle departs Dillards at Coconut Point Mall at 1:15 PM and 4:15 PM. For the shuttle schedule and FAQs, please visit the hotel website or call 239-444-1234. Inspired by the natural beauty of Bonita Springs, Stillwater Spa is an all-natural and eco-conscious spa that offers a variety of soothing and rejuvenating services. The spa offers several modalities of massage to choose from, and your licensed massage therapist will ensure that you receive the treatment most suited to your individual needs. The professional estheticians will customize your facial, applying the most advanced skin care products and techniques. Assist your body's natural cleansing processes with one of our body treatment options designed to detoxify and regenerate. Guests of Stillwater Spa can also enjoy the modern fitness center, sauna, steam room, serenity areas, and locker room amenities. Explore Stillwater Spa and experience ultimate relaxation and renewal with their renowned treatment options and staff of qualified professionals. 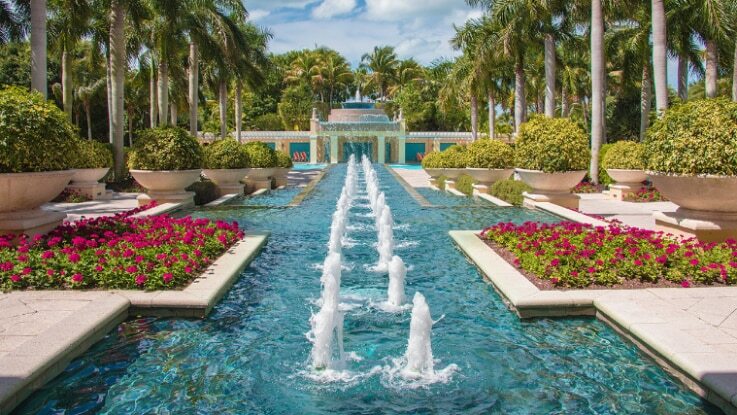 Discover fun, adventure and relaxation at our breathtaking 26-acre resort in Bonita Springs, Florida. Spend the day collecting shells on our semi-private beach. Tee it up at Raptor Bay Golf Course. Rejuvenate at Stillwater Spa, ride the gentle currents of our Lazy River or thrill to high-speed action on the waterslides. Surrounding the resort, the beauty and culture of Southwest Florida await, from art galleries to museums to distinctive shopping. Charter a fishing boat on the Gulf of Mexico, or explore the wilds of the Everglades. Speak with our Concierge for assistance to experience the best of Southwest Florida. Embrace the vibrant Bonita Springs dining scene and the fresh food culture of the Florida Gulf Coast at our 5 distinctive restaurants and bars. Get your day started with a Starbucks® coffee drink at Cool Beans. Watch the sun set at dinner on the screened porch, lakeside at Tarpon Bay. Sip artisan cocktails and enjoy live music in the bar, or enjoy a local craft beer outside by the fire. Savor coastal comfort food with an international twist in the tranquil atmosphere of Tanglewood. And soak up the sunshine during lunch with a frozen drink at Corkscrew Pool Bar & Grill.